Cat advocates are currently trying to reform animal shelters in the U.S. in order to prevent euthanasia. Currently, millions of homeless felines are executed every year. Trap, Neuter, and Release is one way to ensure that homeless cats stop reproducing, and are allowed to live humanely. 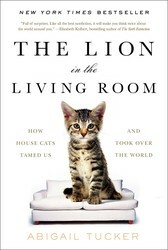 Read more about it in The Lion in the Living Room: How House Cats Tamed Us and Took Over the World. The cat advocates’ central goal is to reform the US animal shelter system and stop feline euthanasia. Cats are by now proving such resourceful survivors that we routinely execute them. Our country kills millions of healthy but homeless cats every year—nearly half of all house cats that enter shelters, and almost 100 percent of the unsocialized cats, which are especially hard to place with owners. The neuter-and-release method is sweeping the country and has been embraced in recent years by many major municipalities: joining Washington are New York City, Chicago, Philadelphia, Dallas, Pittsburgh, Baltimore, San Francisco, Milwaukee, Salt Lake City, and more. There are now some 250 pro-TNR ordinances nationwide, a number that, according to Alley Cat Allies, rose tenfold from 2003 to 2013, and some 600 registered nonprofits have emerged to do the work officially, though there are far more groups trapping, neutering, and returning under the radar. Abroad, entire countries—like Italy—have adopted the strategy.